So here we are at the final Empties post of 2017 and there have been a few of them! This is the one where I take photo’s of all my empty product bottles like a weirdo and talk about them to you. 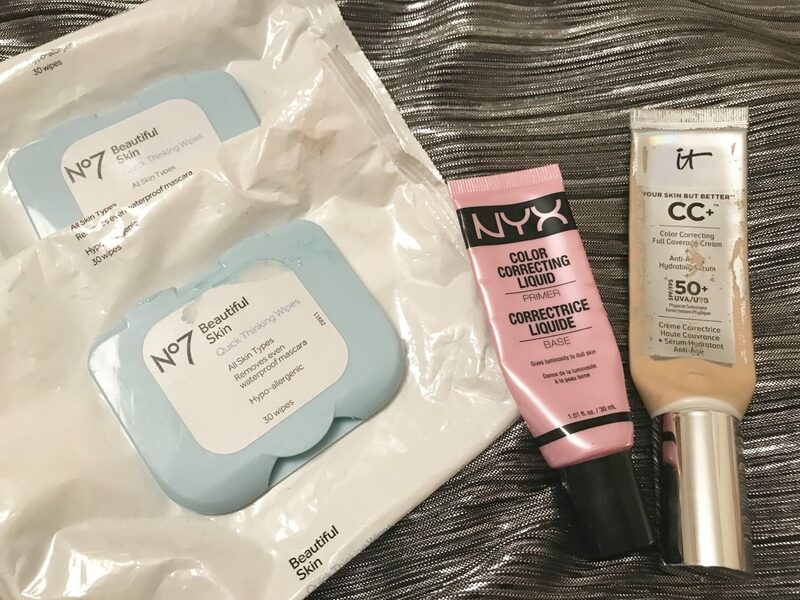 You may see some repeat items which only goes to show that I’ve found some really great products this year that I only share with you on here because I love them myself! 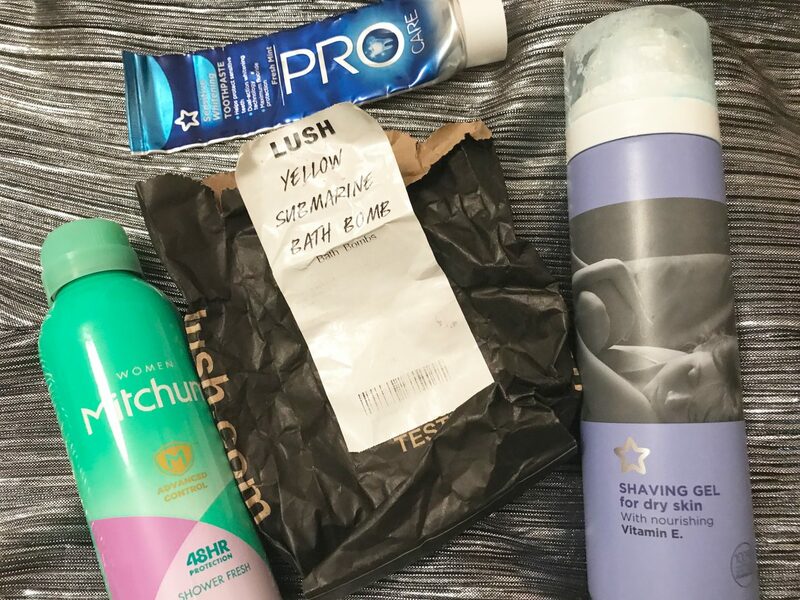 As they are duplicates I thought I’d list everything but only go into detail about a few, then at the end I’m going to talk about my goals for 2018 in terms of consumption and trying to reduce waste. I have mentioned this before, but if your hair is a bit flat and needs a bit of ooomf this shampoo should do the trick! It’s made with sea salt so it gives it a beachy look with nice texture and waves. Both me and Josh love this so it’s a great one for men or women and it lasts a decent amount of time too as you don’t need too much to make it lather up. The other great thing which I’m sure you know is that the black pot that it’s stored in can be returned to the Lush store alongside 4 others to redeem for a free Fresh Face Mask. So not only do you get a freebie you’re also helping to recycle too! You may have seen me rave about this base product in previous posts but omg I need to reiterate to you how good this stuff is! I was so upset when I ran out of this as I wore it every day that I had it, with no other foundation coming close. I apply this with a wet sponge to build a light-medium coverage, I don’t like anything too heavy. What I love most about this CC cream is the amount of sun protection it offers, at Factor 50 I felt confident to wear this all day everyday in Budapest in the height of summer. This might not sound like anything special to some of you but you must understand I am prone to burning and the thought of venturing out into the 30+ degree heat without a thick layer of suncream on my face is unthinkable. This changed the game for me as it offers me protection from both UVA and UVB rays whilst also being able to wear my makeup on days that I want to. It Cosmetics have their own website but it’s also available in Selfridges and on QVC. 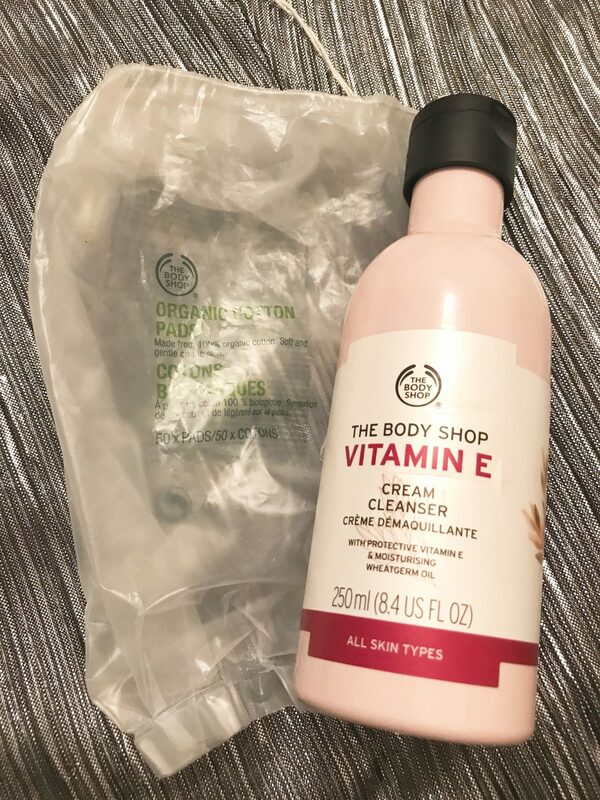 I picked this cleanser up a while ago from The Body Shop Outlet at York! I also inherited my sister’s purchase from that day, including other products from the range, as her skin was too sensitive and dry to use it (she has problematic skin the products aren’t bad). 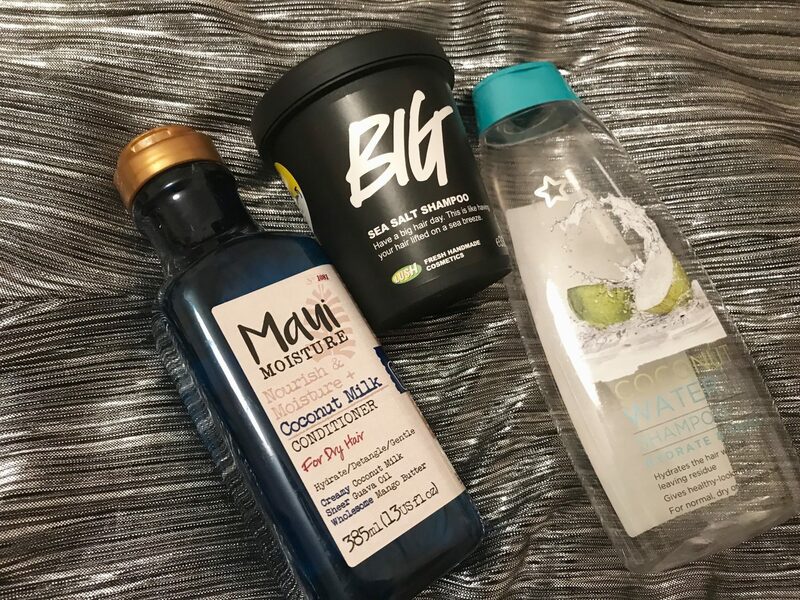 This cleanser works best as a second cleanse rather than as a makeup remover, it leaves your skin feeling super soft and supple but it’s not so great at getting stubborn bits of mascara off of your eyelids. This product is great for the cold winter months when your skin needs all the moisture it can get in every product but on the other hand it’s not the best thing I’ve ever used. I’m kind of on the fence as it’s not bad but it’s not at Holy Grail status for me! So that’s all the stuff I’ve managed to use up lately. 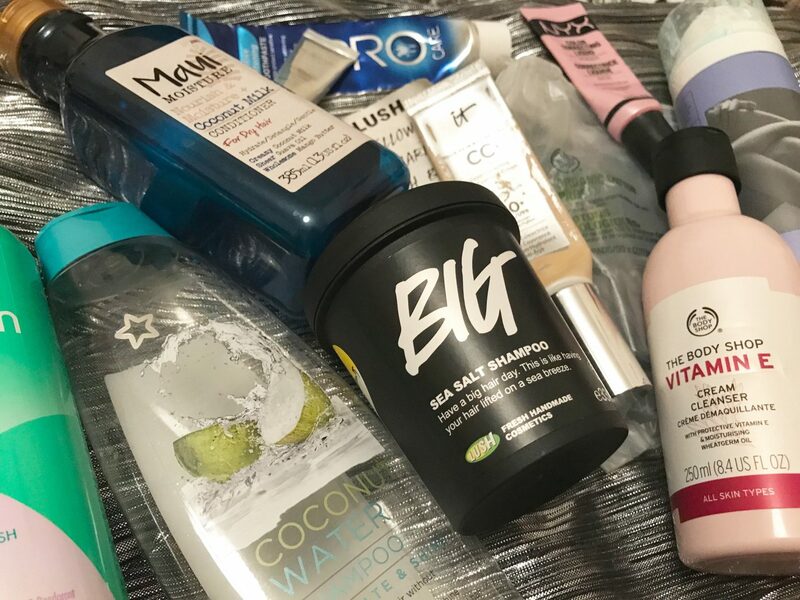 Now onto my plans for next year, my aim is to try and reduce the amount of plastics and waste I produce through making some more eco-friendly choices when selecting my cosmetics and toiletries. I’ve already started it this year by purchasing a couple of Lush’s ‘Naked products‘ including Shower Gel and Body Conditioner. These naked products have no packaging so once they’re gone, they’re gone, I’m planning on purchasing some Solid Shampoo Bars and any other items that might be available in this format such as cleansers. I’m also going to continue buying their black pots which will be recycled into new ones, another thing I will be trying is to reuse packaging where possible so less is being thrown away. I always recycle but not all of the packaging fro every brand or product is always recyclable so if there’s less in the first place the less likely it is to end up in our Oceans. If we all took even this small step towards helping our planet it could make a huge difference as silly as it sounds! Let me know any thoughts you have or if there’s any products with less packaging which you think I would like in the comments below!